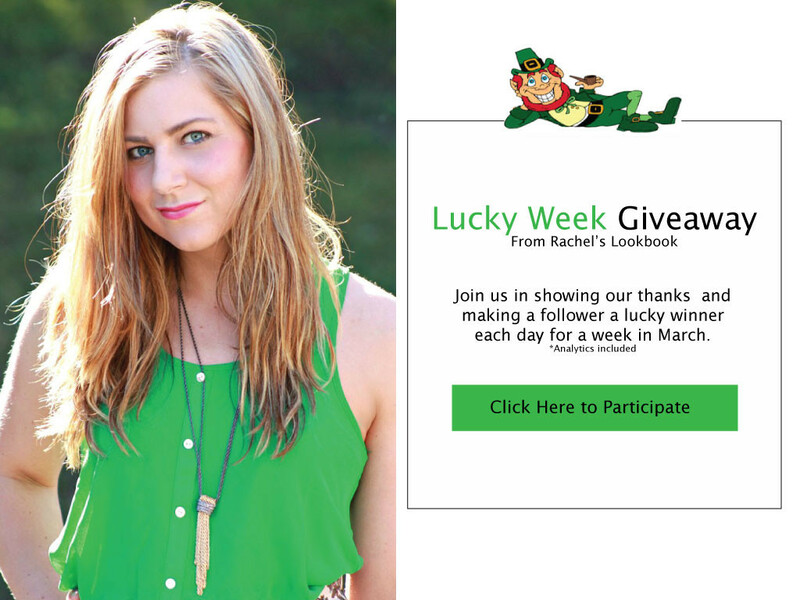 Rachel’s Lookbook, a personal style, fashion and beauty blog, is kicking off “Lucky Week” for St. Patrick’s Day and would like to invite your organization to participate. Lucky Week is a promotional blitz and an opportune time for us to give back to our most loyal readers. Giveaways generate organic call-to-actions in return for a chance to win a popular item from your organization. We are looking to collaborate on a giveaway with your business, and appreciate any participation on your organization’s behalf. We are also looking forward to continue collaborations that would be mutually beneficial.